The much awaited Huawei Nova 4 went official with the formal launch in China on Monday. The smartphone comes with a display hole for the large 25-megapixel front camera, apart from a 48-megapixel rear camera with Sony’s new IMX586 sensor, as part of triple rear camera setup. Huawei Nova 4 is now ready for grabs on pre-orders, and will be available later this month. 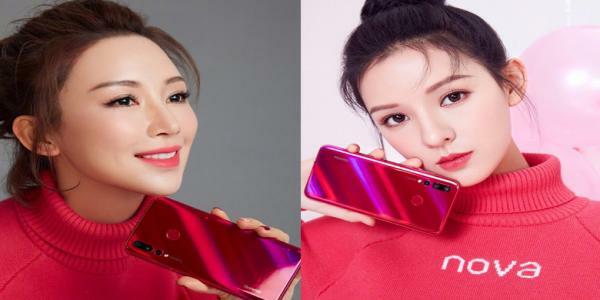 Coming to Huawei Nova 4 price, the smartphone comes for CNY 3,399 (roughly Rs. 35,300) for the 48-megapixel rear camera variant, while the 20-megapixel variant is priced at CNY 3,099 (roughly Rs. 32,200), and the smartphones are available in Black, Blue, Red, and White colour options. The dual-SIM (Nano) Huawei Nova 4 sports a 6.4-inch full-HD+ (1080×2310 pixels) display with a 19.25:9 aspect ratio and runs EMUI 9.0.1 based on Android 9.0 Pie. Under the hood, there is the octa-core HiSIlicon Kirin 970 SoC, which features four Cortex-A73 cores clocked at 2.36GHz and four Cortex-A53 cores clocked at 1.8GHz, and is coupled with 8GB RAM.